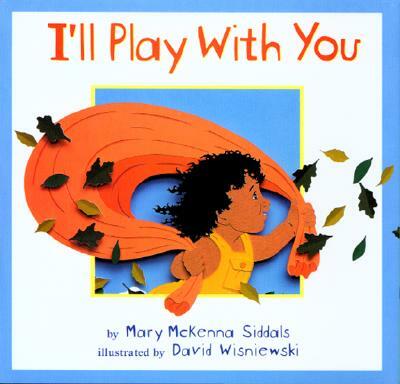 The cut-paper artistry of Caldecott winner David Wisniewski is joined with Mary McKenna Siddals’s lyrical verse in this sweet and simple book about the joys of outdoor play. The sun, wind, clouds, rain, stars, and moon are waiting outside, inviting little ones to come and play with them. A multiethnic group of children is featured in this ideal read-aloud, in a small format perfect for little hands to hold. David Wisniewski (wiz-NESS-key) was born in Middlesex, England, in 1953. After training at Ringling Brothers and Barnum & Bailey Clown College, he spent three years as a clown, designing and constructing his own props, costumes, and gags. He was subsequently hired by his future wife, Donna, as a performer with a traveling puppet theatre. Married six months later, the Wisniewskis started their own troupe, Clarion Shadow Theatre, specializing in shadow puppetry. In the course of creating the plays, puppets, and projected scenery, Mr. Wisniewski evolved the storytelling techniques and art skills that eventually led to his picture books with their unique cut-paper illustrations. His retelling of GOLEM was awarded the 1997 Caldecott Medal. David Wisniewski died in 2002 in the Maryland home he shared with his wife and two children.